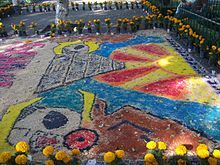 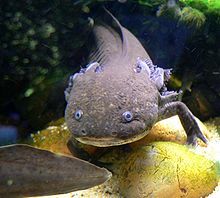 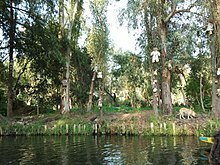 The Xochimilcas were farmers and founded their first dominion under a leader named Acatonallo. 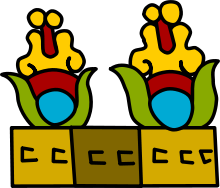 He is cred with inventing the chinampa system of agriculture to increase production. 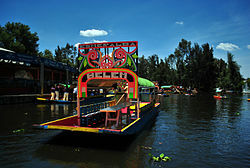 These chinampas eventually became the main producer with crops such as corn, beans, chili peppers, squash and more. 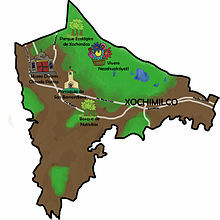 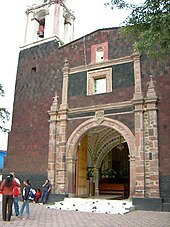 The city of Xochimilco was founded in 919. 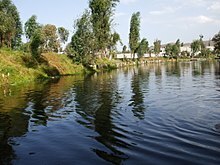 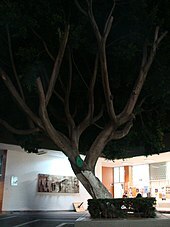 Over time, it grew and began to dominate other areas on the south side of the lakes such as Mixquic, Tláhuac, Culhuacan and even parts of what is now the State of Morelos. 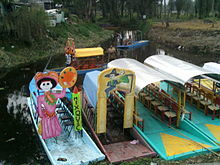 Xochimilco had one woman ruler, which did not happen anywhere else in Mesoamerica in the pre-Hispanic period. 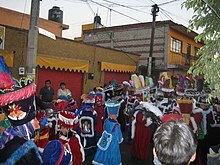 She is cred with adding a number of distinctive dishes to the area's cuisine, with inclusions such as necuatolli, chileatolli (atole with chili pepper), esquites and tlapiques.